This is the script for my third Toastmasters’ speech. In Korea, there is no equivalent to Western idioms about flavor. If you call a Korean person “very sweet” in Korean, they will either think you misspoke or conclude you have some unresolved issues with cannibalism. I thought it would be interesting to use this opportunity to create a long, extended metaphor about fearlessness. If you’d like to see the original, Korean version of the speech, click here. It is my opinion that food and life generally have a lot of similarities. Both come in many varieties, both are sources of joy and both, we should not forget, come with expiration dates. Americans say that victory is savory. In American lingo failure is bitter and disappointment sour. Tough folks are salty and nice people are sweet. Unfortunately, not everybody gets to taste all these flavors. Teddy Roosevelt is one of my heroes. If he had wanted, could have spent his days in safety and comfort. He came from a rich family, he didn’t need to take on responsibilities or duties. Danger and struggle were things he could have easily avoided. If he had wanted, he could have joined the ranks of heavy drinking, golf playing idle rich. 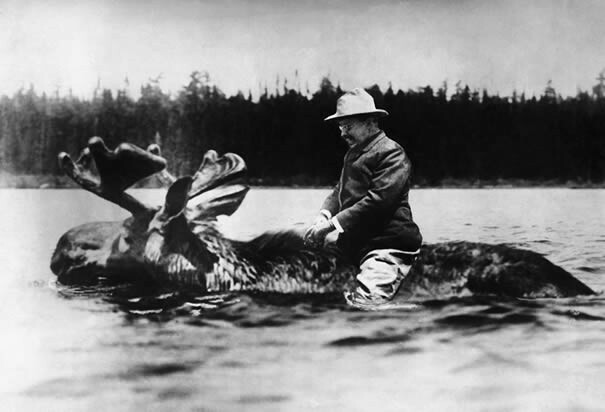 But Roosevelt thought that sort of life shameful and repulsive. When he was a teenager, he became a boxer in order to teach himself toughness. In his 20s, in order to conquer fear, he became a bear hunter and cowboy in the badlands of North Dakota. In his thirties, he left a post as police commissioner in New York to fight in the Spanish American War. His life was neither idle nor easy. Teddy’s war story is pretty goofy, actually. The Spanish were up on top of a hill behind their fortifications. Teddy and his Rough Riders were at the base of the hill. Teddy gave the order to attack and ran up the hill as fast as he could. About halfway up, he looked right, looked left and realized he was almost alone. The other soldiers hadn’t heard the order and thus Roosevelt had attacked the fortifications alone! For Teddy, a safe and easy life was a flavorless life. For Teddy, great people were defined by big failures and huge triumphs, not fear. Cowards and critics, the lazy and timid, Teddy said we don’t have to listen to those people because they’ve never tasted anything.